Richard Spires is the CEO of Learning Tree International, a leading provider for truly effective hands-on IT and management training. Richard served as the U.S. Department of Homeland Security Chief Information Officer – CIO – from 2009 till 2013. 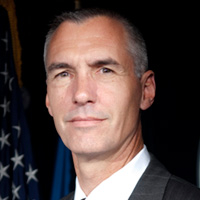 Richard also served as the Vice-Chairman of the Federal Government CIO Council and the Co-Chairman of the Committee for National Security Systems – CNSS.